Former Military Intelligence Head Major General (Retired) Amal Karunasekara was yesterday ordered to be released under strict bail conditions by Mount Lavinia Additional Magistrate Lochana Abewickrama. 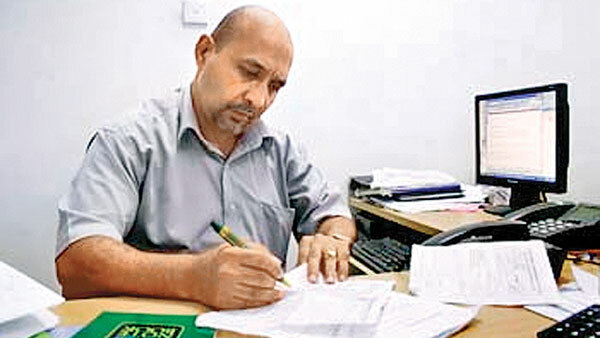 Amal Karunasekara was arrested in connection with the abduction and assault incident of former Deputy Editor of the Nation newspaper Keith Noyahr in 2008. Senior State Counsel Lakmini Girihagama appearing on behalf of the Criminal Investigation Department informed the Magistrate that the CID expects to record statements from the former Defence Secretary and former army commander on Wednesday (12) regarding this incident. The suspect was released on a three sureties of Rs.10 million. The Magistrate stated that first surety should be a close relative of the suspect and two other sureties should be employed at public service in executive grade. SSC Girihagama informed the Magistrate that the CID recorded a statement from the Amal Karunasekara on September 8 regarding the submission made by his lawyer on the last occasion. Earlier,Attorney-at-Law Shehan de Silva appearing on behalf of the suspect informed the Magistrate that there is no argument regarding the Dompe safe house and acknowledged that they maintained a safe house. According to his statement, Amal Karunasekara stated that the Attorney-at-Law appearing on behalf of the suspect misinterpreted his instruction. Amal Karunasekara further stated that the Army Commander was responsible for all the decisions taken by the Army Intelligence Board. The Maradana Tripoli Camp was also maintained under the Army Intelligence Board, according to the Karunasekara’s statement. SSC Girihagama pleaded to annex the Amal Karuanasekara’s statement to the Case record. Attorney-at-Law Ravi Mathugama appeared on behalf of the suspect. Former Military Intelligence Director and Chief of Staff of the Army, Major General (Retired) Amal Karunasekara was arrested on April 5. The Magistrate ordered the suspect to appear before the CID ‘s Oraganised Crime Unit on the last Sunday of each month. After considering all the facts, the Magistrate also banned the suspect and sureties traveling abroad without court permission and ordered to handover their passport to the court. The Magistrate fixed further inquiry for September 25.